He's only five competitive rounds into his latest comeback effort, but Rory McIlroy is pleased with how his game looks in the early stages of 2018. Coming off a T-3 finish in Abu Dhabi, McIlroy opened the Omega Dubai Desert Classic with a bogey-free 65. 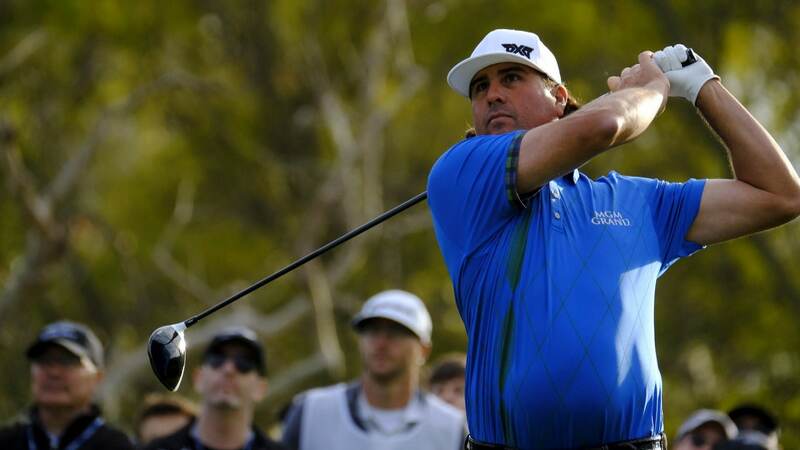 The score left him in a tie for fifth, three shots behind former Ryder Cup teammate Jamie Donaldson. "I don't think you could have gotten better conditions out there. Greens in the morning are perfect, and there wasn't much wind for the first 12-13 holes," McIlroy told reporters. "I feel like I left a few out there. But at the end of the day, 65, you're not going to complain about that." McIlroy continues to rebound from a stop-and -start 2017 campaign that saw him spend nearly the entire year trying to rehab a rib injury and ultimately finish the year winless and outside the OWGR top 10. Having rested for nearly three months, he returned last week poised and confident while challenging for the title before Tommy Fleetwood's electric close. McIlroy built on that momentum Thursday, with all seven birdies coming over his first 13 holes. 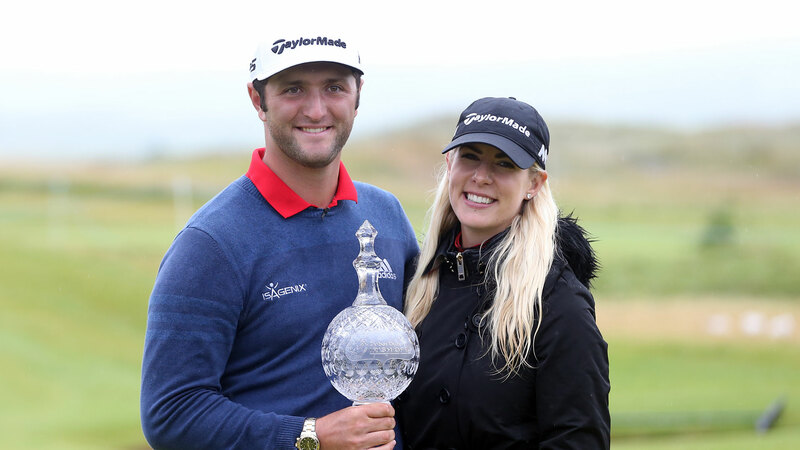 Despite closing with a stretch of pars, he's now firmly in the mix at the tournament where he won for the first time as a pro back in 2009, and again in 2015. The Ulsterman explained that he was "very frustrated" with his inability to play his best golf last year, but in just his second week back he feels that this comeback attempt is "completely different." "I didn't expect to play as well as I did last week, and it's been nice to continue that into this week," McIlroy said. "So I'm ahead of sche dule right now, but I don't mind that. That's nice. Just have to reassess everything and go from there." SAN DIEGO â" There was a time when players would attack the North Course at Torrey Pines and then try to âhold onâ when they moved to the South Course at the Farmers Insurance Open. That narrative has changed dramatically following a redesign of the North Course prior to last yearâs event. On Thursday, the scoring average was less than a half-stroke lower on the North than the South, compared to the historic differential of two or sometimes three strokes. Itâs why Tony Finauâs opening 65 on the North Course gave him plenty of reasons to be optimistic, particularly considering his recent play on the South Course, which hosts the final two rounds of the event. Half of the top 14 scores on Day 1 came on the South Course, and Finau, who leads the tournament by one shot over Ted Potter Jr. and Ryan Palmer, is uniquely equipped to play the layout having led the PGA Tour last season in driving distance. 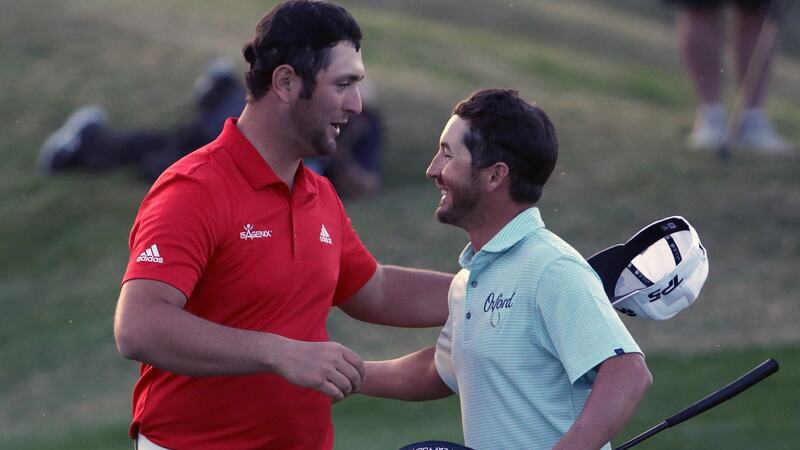 SAN DIEGO â" Nearly 24 hours after winning last weekâs CareerBuilder Challenge in a playoff, Jon Rahm was still riding high on the emotion of the victory. 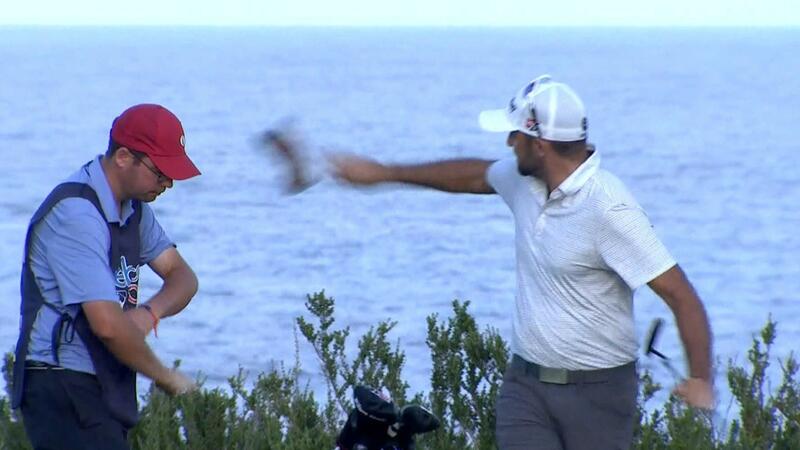 By the time he reached Torrey Pines, where he is the defending champion fol lowing his PGA Tour breakthrough last year, he was still so excited that he had to take a moment to calm things down. It turned out to be exactly what the energetic Spaniard needed. After a relatively quiet start to his day, which included two bogeys and three birdies through his first 12 holes, Rahm birdied three of his next four holes for a 4-under 68 on the South Course and a share of fourth place at the Farmers Insurance Open. For Rahm, itâs an impressively familiar result from a game that might be the most consistent in golf at the moment. In his last three starts, dating back to the season finale on the European Tour in November, heâs finished first, second. and first. Even he would tell you he is playing the best golf of his young career. SAN DIEGO â" The time for tinkering is over for Phil Mickelson. Now is the time for fun, which in Leftyâs case means low scores. He took a step in that direction on Thursday when he opened his week at the Farmers Insurance Open with a 2-under 70 on the North Course at Torrey Pines that left him tied for 35th place. Despite a rough day off the tee - he hit just 6 of 14 fairways - Mickelson salvaged his round with his putter, needing 21 putts per green in regulation, and is back in the hunt at an event heâs won three times. âI donât need to worry about my swing now. I can just go out and try to have fun,â he said. Mickelson hasnât won on the PGA Tour since the 2013 Open Championship, and he failed to advance to the Tour Championship last season. 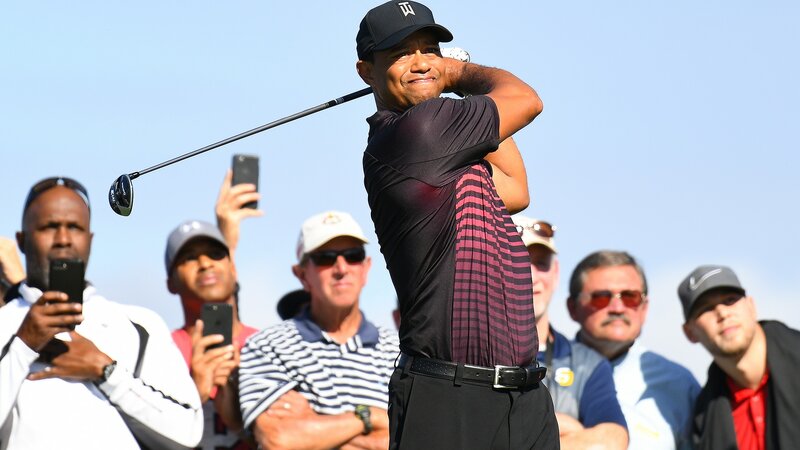 SAN DIEGO â" Never shy about needling his idol, Patrick Reed heard the glowing reports from Tiger Woodsâ practice sessions and sent him a text message when he learned that they were paired together for the first two rounds at Torrey Pines. And, all things considered, Woods did Thursday, shaking off a sluggish start to shoot an even-par 72 in his first PGA Tour start in a year. Woods sits in a tie for 84th at the Farmers Insurance Open, but a dose of perspective is desperately needed here. Woodsâ last official worldwide round? It was 356 days ago, and he returned Thursday on one of the most difficult courses on the Tour schedule â" Reed: âStarting on the South course, it doesnât get any harder than thatâ â" under the brightest spotlight imaginable, with sports fans everywhere tuned in to watch another train wreck, like the rest of these aborted comebacks. That didnât happen this time. Woods was solid, and occasionally spectacular. Playing primarily a cut off the tee, he found eight fairways. After a nerv y start, he hit nine of his last 10 greens. All three of his birdies were from inside 2 feet, after stuffed approach shots. Reed was more impressed by the quality of Woodsâ play. He shaped shots both ways. He flighted them high and low. He hit them hard, and he hit them soft. âIt seemed like he had control,â Reed said. And there were glimpses of greatness, perhaps the biggest difference between this comeback and the myriad ones that preceded it. Start with the drives that bounded past his playing partners. And then there was the 239-yard bullet on the par-5 sixth, which led to a two-putt birdie. And, finally, the near-ace on 16. Forty-five minutes later, Reed was still in awe. âI thought I hit a pretty good 6-iron (to 14 feet) and he hit the same club and it came out a completely different window,â he said. âHis was 30 feet higher than mine. It was monstrous up in the air. It came out like a pitching wedge. That thing was vertical. â¦ Into the wind, you wouldnât think that a ball could carry that far, and he was able to penetrate it through the wind at that height and be able to land it that soft, to a foot. Of course there are areas to clean up. Woods found seven bunkers. He played the par 5s in even par. He made only 34 feet worth of putts. All of that â¦ and yet Woods shot even par, in his first Tour event in a year, on the more difficult South course. Reed challenged Woods to wow him at Torrey Pines, and thatâs exactly what he did.